We are at the beginning of a new millennium and at the same time at the start of the Aquarian Age. 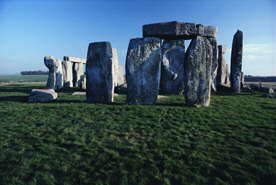 The time when the Celts came from the steppes of South Asia to Europe and India now seems to us to be long ago. But because these common origins we find many similarities in the eastern and western doctrines. Actually, from the ethnological point of view, the Celts did not exist. They were rather a mixture of peoples of various waves of immigration with the European peoples. Strictly speaking, age of the Celts means the culture and spiritualism during the Iron Age in Europe, which developed over the centuries, affected by the different peoples it came into contact with.